DETROIT December 10, 2012 -- Thom Connors, regional vice president and general manager of Cobo Center/SMG announced today the hiring of Scott Balutowicz as the new director of human resources, and the promotion of Cedric Turnbore to senior operations manager at Cobo Center. Balutowicz comes from Lafarge North America in Southfield MI, and is a senior professional of human resources (SPHR) with the Society of Human Resource Management. He is a certified trainer in leadership and service for Achieve Global, a published author, featured speaker and organizer of various, national HR conferences. 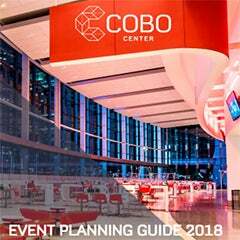 Turnbore’s promotion comes from three years of dedicated service as Manager of Production Services for Cobo Center. 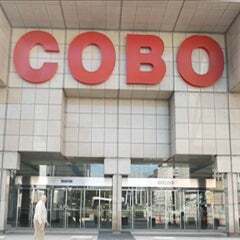 While overseeing vendor contract services, he supervises the training and performance of production service staff in Cobo Center, ensuring a welcoming event experience for customers. In his new post, he will continue to oversee set up, cleaning and housekeeping in Cobo, and coordinate the safety and Green initiatives in the facility. Previously, he received the Manager of the Year award from Marriott Hotels and was nominated three times for the prestigious Rose Award. contiguous exhibit floor spaces in North America and is the 19th largest convention center in the country. convention, congress and exhibition centers. Visit www.smgworld.com for more information.